Buyani has been involved in human resources management and leadership development for over 25 years, with both local and international companies. 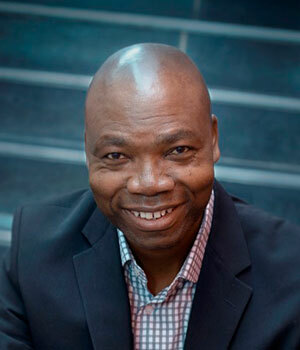 He served as facilitator, director and executive chairperson at FranklinCovey Southern Africa between 2002 and 2010 and continues as director of Dynamic Leadership Solutions (Pty) Limited and Magnificent Mile Trading (Pty) Limited, as well as CEO of Breakthrough Development (Pty) limited – a leadership development company established in 2000. He also recently served as chief executive: group human resources for Sanlam Limited. Buyani also contributes to human capital and talent development in formal and informal sectors such as: churches, NGOs, schools, and local and international aid organisations. He serves on iSimangaliso Wetland Park Authority board and UCT Council, chair of UCT Council HR Committee. As CEO of Breakthrough Development (Pty) Limited – diverse clients in private and public sectors.